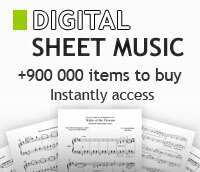 All Walt Disney piano sheet music. By Pat Metheny. Arranged by Bob Curnow. Jazz Ensemble / Jazz Band. The Pat Metheny Big Band Series. Rock Ballad. Level: Grade 4-5. Score and set of parts. Published by Sierra Music. By Bob Brookmeyer. For Big Band. Professional Big Band. Level: Grade 5+. Full Score and Set of Parts. Published by Advance Music. By Glenn Miller. Arranged by Fred Norman. Swing. Full score and set of parts. Published by Lush Life (JL.LL-1276). Arranged by Chris Walden. Score and parts. Published by Walrus Music Publishing (WA.55855). Arranged by Ryan Haines. Score and parts. Published by Walrus Music Publishing (WA.56258). By Sonny Rollins. Arranged by Mark Taylor. (Score and Parts). Little Big Band Series. Published by Hal Leonard. By Gene Krupa. Arranged by Myles Collins. Swing. Full score and set of parts. Published by Lush Life (JL.LL-1022). By Metheny / Mays. Arranged by Bob Curnow. Jazz Ensemble / Jazz Band. The Pat Metheny Big Band Series. Latin Fusion. Level: Grade 6+. Score and set of parts. Published by Sierra Music.